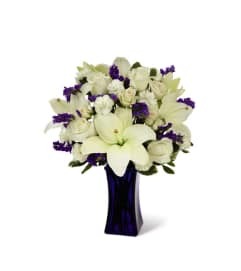 Blossoming with a Christmas charm that evokes memories of holiday seasons long past while nodding towards a sophisticated modern styling, this holiday flower arrangement is ready to spread the joy of the season to your recipient. 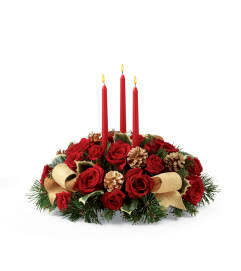 Rich red roses and white carnations and mini carnations are artistically arranged amongst variegated holly and an assortment of fresh Christmas greens. 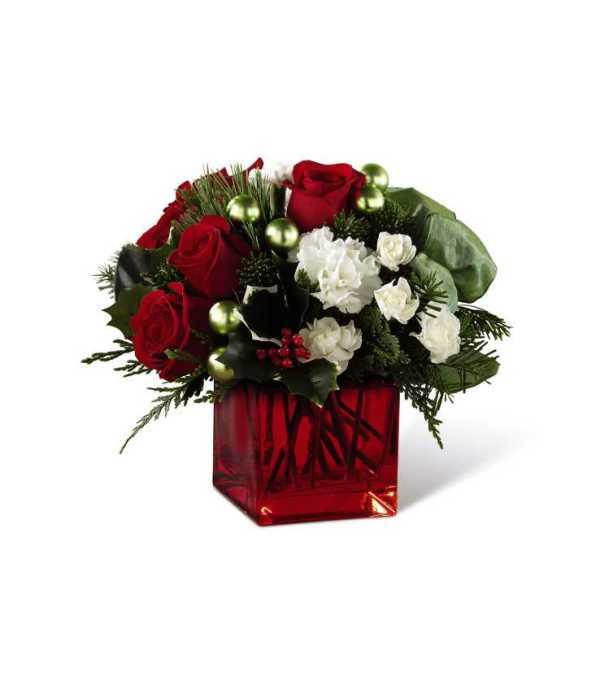 Accented by matte green glass holiday balls and a sage green wired taffeta ribbon while seated in a red glass cubed vase, this stunning Christmas flower bouquet is ready to create a holiday memory your recipient will never forget.